Expect students to use the Mobile app (available in App Store for IOS and in the Play Store for Android) and/or the Web app (the url is: https://aula.education). Expect students to watch the short student onboarding video. 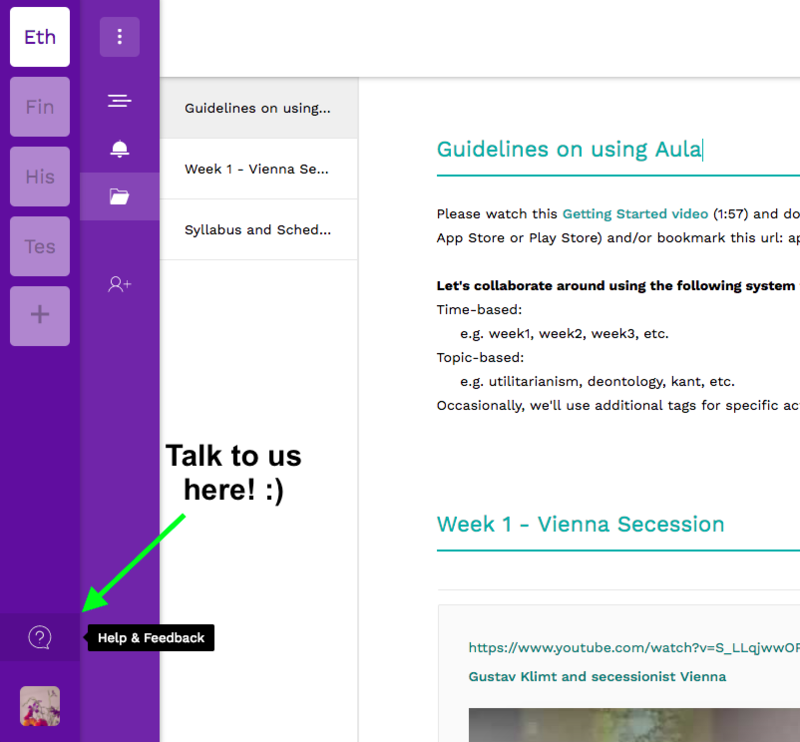 Expect students to use Aula instead of email and ask questions relevant to everyone in the Class Feed. You could take 10 minutes at the start of the first lecture or class for everyone to get out their phones/computers and get set up. This is also a great opportunity to explain how you plan to use Aula. Educators new to Aula see a lot more student activity than they are used to, so it's important to manage expectations around availability with students. Make it clear that just because students can chat with you need not mean that you always reply within minutes. Active learning should be a force for good and in most cases it is a significant time saver for educators (e.g. reduction in repetitive emails, more collaboration amongst students, better results etc. ), but it is important to be explicit with students around availability. Many Aula educators have a lot of success with checking Aula and replying to students just once or twice a day. The first time a student posts in the class feed, it can be tempting to reply within just a few minutes. Resist this! Let other students reply to encourage a culture of student-to-student conversation around learning content. You can even emphasise this during class. Have a look at the inspiration nuggets found in the Aula Inspiration Hub to see how other educators have used Aula to make their teaching more active and engaging.